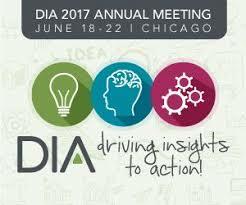 Kudos to the Drug Information Association (DIA) for continuing to offer a Patient Engagement track at their annual meeting, which took place in Chicago last week. We thought we’d share some highlights below, to give you the flavor of the breadth and depth of perspectives from some of the thought leaders in this area. Speaking of patient perspectives, we have also attached a newly-released Rx4good report on findings from a survey of 200 patient organization leaders about their views on the FDA and the role of patients in drug development. Enjoy!